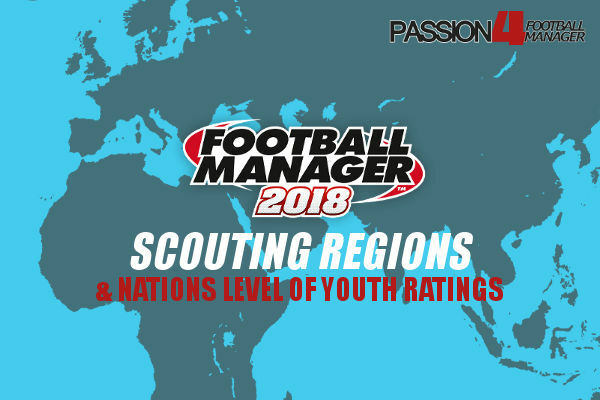 After over a week of great Football Manager tactics guides we have come to the final chapter of the Mentality Ladder. Here you will find explanations of the various tactical priorities in detail for the different player roles. You will hereby understand how a tactical priority serves as a general point of reference which let you see how a player is supposed to function within a broader tactical system. 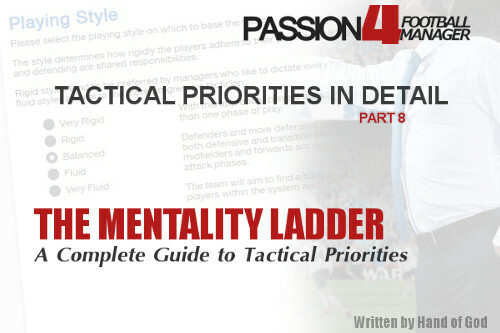 This part on tactical priorities in detail will let you understand how you can put the mentality ladder effectively into practice by considering a player’s tactical priority in relation to his player role by understanding all the different responsibilities and task according to player duty. In this final section, you will find a brief description of the various tactical priorities for both outfield players and goalkeepers. Each tactical priority serves as a general point of reference that clarifies how a player is supposed to function within a broader tactical system. However, again, it is important to distinguish between tactical priority and role. While a tactical priority tells a player what he’s supposed to focus on doing within a given system, the exact details regarding how a player goes about doing it is further refined by role and duty. Accordingly, effectively putting the mentality ladder into practice requires considering a player’s tactical priority in relation to his role. For example, while a trequartista can be given a “defensive” tactical priority, the particular instructions of the role will typically cause him to emphasize more passive aspects of defending like hunting down clearances, denying passing angles, discouraging forward runs from defenders, etc. Similarly, a ball-winning midfielder told to sit deep and help contain incoming attacks will be much more defensively aggressive relative to teammates with the same priority and more inclined to break from the defensive shape to do what he’s been told to do. Under the current team mentality and fluidity instructions, this player will focus on promptly challenging advancing opposition attackers and carefully getting the ball forward without needlessly compromising the team’s defensive shape. Under the current team mentality and fluidity instructions, the player will focus on sitting behind the attack in the opposition half before quickly moving to disrupt the opposition’s build-up play by aggressively marking and closing down opposition midfielders attempting to get forward to support a counterattack. Under the current team mentality and fluidity instructions, the player will focus on sitting behind the attack in the opposition half before quickly moving to disrupt the opposition’s build-up play by aggressively marking and closing down opposition midfielders attempting to advance play out of their own third. Under the current team mentality and fluidity instructions, the player will focus on sitting behind the attack in the opposition half before quickly moving to disrupt the opposition’s build-up play by aggressively closing opposition midfielders attempting to hold onto or play the ball from within their own third. Under the current team mentality and fluidity instructions, the player will focus on sitting behind the attack in the opposition half before quickly moving to disrupt the opposition’s build-up play and initiate counterattacking opportunities by closing down defenders who either appear hesitant to move the ball forward or are purposefully attempting to waste time by passing it around in the defensive third. Under the current team mentality and fluidity instructions, the player will focus on sitting behind the attack in the opposition half before quickly moving to disrupt the opposition’s build-up play and initiate counterattacking opportunities by aggressively closing down defenders attempting to play the ball out from the back. Under the current team mentality and fluidity instructions, the player will focus on sitting behind the attack in the opposition half before quickly moving to disrupt the opposition’s build-up play and initiate immediate counterattacking opportunities by aggressively closing down defenders attempting to get the ball out of their own third. This task is not available as a tactical priority in any mentality structure. If teammates take up the player’s responsibilities and provide sufficient defensive cover, a defend duty player will momentarily assume support duty attacking responsibilities or, on rare occasions, attack duty attacking responsibilities if a good opportunity presents itself. Under the current team mentality and fluidity instructions, the player will focus on finding occasional opportunities to test the opposition defence’s concentration and discipline with carefully placed shots and precise passes intended to cause panic and indecision. Under the current team mentality and fluidity instructions, the player will focus on testing the opposition defence’s concentration and discipline by periodically taking a shot on goal or playing a hopeful ball into the area with the intent of provoking panic and indecision. Under the current team mentality and fluidity instructions, the player will focus on testing the opposition defence’s concentration and discipline with a much greater willingness to simply blast the ball goalwards or lob it into the area when other options appear limited. This task is not available as a tactical priority in any mentality structure. If teammates take up the player’s responsibilities and provide sufficient defensive cover, a support duty player will momentarily assume attack duty attacking responsibilities if a good opportunity presents itself. 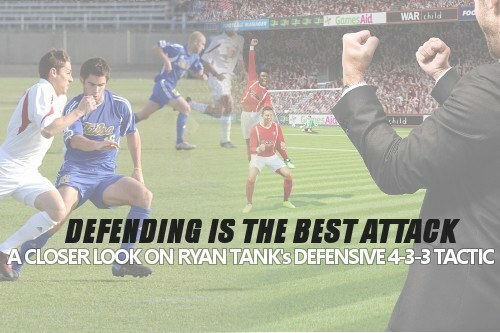 Under the current team mentality and fluidity instructions, the player will focus on staying forward and pushing up against the opposition defensive line while looking to either immediately break forward on the counter or drag defenders out of position to create space for teammates’ runs and passes.